Scroll down for full articles. Iran has said a press conference where the crew described being bound and held alone was "theatrical propaganda" that did not justify their "mistake". American forces who captured five Iranians in the northern city of Irbil three months ago were really after commanders of Iran's Revolutionary Guards who were visiting Kurdish officials, the Kurdish leader Massoud Barzani said. A British-led raid on a police intelligence headquarters in southern Iraq last month violated Iraq's sovereignty as well as a U.N. Security Council resolution, the government said on Friday. The Islamic Army in Iraq, believed to be the largest group of former Baathists and army officers fighting Iraqi and US forces, called on Osama bin Laden, the al-Qaeda leader, to take more responsibility for al-Qaeda in Iraq. A total of 246 families from Talafar, whose houses were destroyed in the March 27 bombing incidents, arrived in the city of Mosul, Iraq's Red Crescent Society said on Friday. Earlier on Friday morning, a security source in the Iraqi police said unidentified men bombed an Iraqi oil pipeline in southern Kirkuk, setting the oil installation ablaze. The first contracts with major oil firms from Iraq's new government are likely to go not to US companies, but rather to firms from China, India, Vietnam, and Indonesia. US forces launched an air strike in the central city of Diwaniyah on Saturday as clashes between militiamen and security forces continued for a second straight day, the military said. Al-Maliki has declared a delay in the cabinet reshuffle while the Fadela party has said they support Article 140 for Kirkuk to become part of Kurdistan. A Turkish company has started the implementation of a conducting line for electric power linking the electricity station in Nasiriyah with the secondary one at Shatrah. An Iranian diplomat who arrived in Tehran Tuesday upon release from Iraq was quoted Saturday as saying he had been kidnapped and tortured there by US forces. An international conference on Iraq originally planned for April will take place in Egypt on May 3 - 4, Iraqi Foreign Minister Hoshyar Zebari reported Saturday. * denotes new or updated item. Follow link for further information. * SAMARRA - A suicide bomber targeting an Iraqi army checkpoint killed five Iraqi soldiers in Samarra, 100 km (62 miles) north of Baghdad, police said. RAMADI - The death toll from a chlorine truck bomb attack on a police checkpoint in the western Iraqi city of Ramadi on Friday rose to 12 civilians, the U.S. military said. The blast wounded 43, including eight women and five children. BAGHDAD - An explosively formed projectile (EFP) killed one U.S. soldier and wounded four when it blew up next to a U.S. patrol in eastern Baghdad on Friday, the U.S. military said. HIMREEN - Gunmen kidnapped 10 people who were travelling in a minivan near Himreen, 100 km (60 miles) south of Kirkuk, police said. The identity of the victims and the motivation for the kidnapping were not immediately clear. BAGHDAD - The bodies of 11 people were found dumped across Baghdad in the past 24 hours, police said. SUWAYRA - Insurgents killed an Iraqi soldier and wounded six others when they attacked an Iraqi army base on Friday evening near Suwayra, just south of Baghdad, police said. (DPA) - An international conference on Iraq originally planned for April will take place in Egypt on May 3 - 4, Iraqi Foreign Minister Hoshyar Zebari reported Saturday at a press conference in Baghdad. Participating in the foreign minister conference in addition to Iraq's neighbours will be the five permanent members of the United Nations Security Council, the members of the G8 as well as Egypt, Bahrain and representatives of international organizations. The conference will for the first time in years also bring together at the same table the foreign ministers of the United States and Iran. A preparatory meeting at the official level took place March 10 in Baghdad. The May meeting is to sound out possibilities of stabilizing the situation in violence-stricken Iraq as well as easing tensions in the region, Zebari said. A US State Department official on Thursday said direct talks between US Secretary of State Condoleezza Rice and Iranian Foreign Minister Manouchehr Mottaki would not be ruled out. (DPA) - An Iranian diplomat who arrived in Tehran Tuesday upon release from Iraq was quoted Saturday as saying he had been kidnapped and tortured there by US forces, the official IRNA news agency reported. 'I was transferred to a base near the Baghdad airport after the Iraqi agents working under the control of the (Central Intelligence Agency) CIA kidnapped me,' Jalal Sharafi, second secretary of Iran's embassy in Baghdad, was quoted as saying by IRNA. The allegations follow claims by 15 British naval personnel the previous day that they had been subjected to intense psychological pressure in 13 days of Iranian custody after being seized in the Shatt al-Arab waterway. Five other Iranians were arrested in January by the US military at a consulate in the northern Iraqi city of Arbil as part of the effort to confront alleged Iranian meddling in Iraq. Tehran insists the five men were consulate officers and were not involved in militant activities. Washington accuses them of being members of Iran's Revolutionary Guard and providing material support to Shiite militias. Labels: CIA, Iranian diplomat, Jalal Sharafi, kidnap, torture, U.S.
(Iraq Directory) - A Turkish company started the implementation of a conducting line for electric power linking the electricity station in Nasiriyah with the secondary one at Shatrah. A source in the province of Thi Qar said the Turkish company executing the project has already installed a number of high-pressure columns in the areas of Al- Gharaf, pointing out that the completion of this project will break the bottleneck in the electricity network in Nasiriyah. (Al Sabaah) - Adviser to Prime Minister al-Maliki, Mariem Raees, said the cause of al-Maliki's delay in declaring a cabinet reshuffle was because parliament blocs have suggested inefficient candidates. Raess stressed that the security ministries have been excluded from the reshuffle due to the Baghdad security plan. Meanwhile, the Patriotic Union Kurdistan (PUK) issued a statement that a delegation of the Islamic Fadhila Party have expressed their support to execute article 140 of the Iraqi constitution to hand Kirkuk over to Kurdistan. (Middle East Times) - US forces launched an air strike in the central city of Diwaniyah on Saturday as clashes between militiamen and security forces continued for a second straight day, the military said. "Iraqi army and coalition forces as part of Operation Black Eagle used a strategic air strike to defend against illegally armed militia men using shoulder-fired rocket propelled grenades," the US military said. An Iraqi army source said US planes had bombed houses where suspects were holed up in the city's Al-Jhumuriyah district, "destroying two of them." There was no immediate information of casualties, he added. The US military said air support had been called in by the Iraqi army after "positive identification of the militiamen." The Iraqi military source said clashes were pitting Iraqi and US forces against armed men in Diwaniyah's Salim Street and southern areas of the city including the Nahda and Wahda districts. A curfew continued in Diwaniyah for a second day and hospitals were calling in doctors to report for duty, the Iraqi army source added. US-backed Iraqi forces swept through the city on Friday, arresting nearly 30 militants and killing three fighters as part of the crackdown aimed at reining in Shiite militiamen who often also clash among themselves. The military said the operation was intended to disrupt militia activity and return control of the city south of Baghdad to the government. Over the past year, Diwaniyah has seen repeated clashes between the security forces and Shiite militias. Last August, nearly two dozen Iraqi soldiers and dozens of militiamen were killed in the deadliest bout of fighting. The city is engulfed in bitter political rivalry as militiamen loyal to cleric Moqtada al-Sadr clash with those linked to the Supreme Council of Islamic Revolution in Iraq (SCIRI), a powerful Shiite political bloc. COMMENT: The Diwaniyah police are heavily infiltrated by the Badr Corps who are the militia of the Shia Supreme Council of Islamic Revolution in Iraq (SCIRI). There is a longstanding bitter rivalry between the Badr Corps and al-Sadr's Mahdi Army (also Shia). The Mahdi Army is also present in Diwaniyah but some sources say they no longer heed al-Sadr and are splinter groups of his militia. COMMENT ENDS. (AP) - Chlorine gas attacks the eyes and lungs within seconds, causing difficulty in breathing and skin irritation in low-level exposure. Inhaled at extremely high levels, it dissolves in the lungs to form hydrochloric acid that burns lung tissue, essentially drowning a person as liquid floods the lungs. The chemical has been used a number of times recently in insurgent attacks in Iraq. On Friday, a suspected al-Qaida in Iraq suicide bomber smashed a truck loaded with TNT and toxic chlorine gas into a police checkpoint in Ramadi, killing at least 27 people. It was the ninth such attack since the group's first known use of a chemical weapon in January. On Jan. 28, a truck carrying explosives and a chlorine tank blew up in Anbar province. More than a dozen people were reported killed. On Feb. 20, a bomb planted on a chlorine tanker left more than 150 villagers stricken north of Baghdad. The following day, a pickup truck carrying chlorine gas cylinders was blown apart in Baghdad, killing at least five people and sending more than 55 to hospitals gasping for breath and rubbing stinging eyes. Despite fears over the new tactic, some experts note the insurgents are not yet expert at it, meaning they may be causing widespread fear but not mass casualties. Chlorine gas causes death by inhalation but experts say the heat from an explosion can render the gas nontoxic. Anti-terror experts have long believed that terrorists do not need sophisticated knowledge to use toxic industrial chemicals. Chlorine is easily accessible. It is used for water purification plants, bleaches and disinfectants and obtaining large quantities may not be difficult. Chlorine gas was first used as a weapon when the German military unleashed it at Ypres, Belgium in 1915. Chemical poisons killed tens of thousands of soldiers in World War I. Their use caused so much international revulsion that the issue sparked the Geneva Protocol of 1925, which banned the use of chemical weapons. In general, chlorine is inefficient as a weapon — it produces a visible greenish cloud and a strong odor, making it easy to detect. Because it is water-soluble, simply covering the mouth and nose with a damp cloth can reduce the effect of the gas. Chlorine has also been the source of environmental accidents. (India Times) - Despite whispers in some quarters that the Bush administration invaded Iraq to take control of its oil, the first contracts with major oil firms from Iraq's new government are likely to go not to US companies, but rather to firms from China, India, Vietnam, and Indonesia. "While Iraqi lawmakers struggle to pass an agreement on exactly who will award the contracts and how the revenue will be shared, experts say a draft version that passed the cabinet earlier this year will likely uphold agreements previously signed by those countries under Saddam Hussein's government," CNNMoney.Com has said in a report citing energy experts. "The Chinese could announce something within the next few months" if all goes well with the oil law, James Placke, a senior associate at Cambridge Energy Research Associates who specializes in the Middle East has been cited in the report. The Asian firms are advantaged and for several reasons: they are less constrained by Western sanctions during the Hussein regime, they've been operating in Iraq and know the country's oilfields, according to Falah Aljibury, an energy analyst who has advised several Iraqi oil ministers as well as other OPEC nations. Aljibury said the first contracts likely awarded will be to the Chinese in the south central part of Iraq, the Vietnamese in the south, the Indians along the Kuwaiti border, and the Indonesians in the western desert;but that the contracts under consideration are small. According to Aljibury, the Chinese agreement is to produce about 70,000 barrels of oil a day, while the Vietnamese one is for about 60,000. The report said it is hard to to put a dollar amount on what those contracts might be worth, as security costs, drilling conditions and the exact terms to be offered by Baghdad are unknown. But the barrel amount is tiny even by Iraq's depressed post-war production of around 2 million barrels a day. (VOI) – Iraqi Minister of Oil Dr. Hussein al-Shahrestani urged the Kirkuk local council to protect the ministry's oil facilities and pipelines from acts of sabotage. "The Kirkuk oil installations' production capacity is enough to meet the needs of the northern refineries in Kirkuk and Baiji," Shahrestani told the independent news agency Voices of Iraq (VOI). The minister explained that stopping exports from the Turkish Ceyhan port outlet due to ceaseless vandalism of oil pipelines has caused production levels to decrease and consequently cost Iraq millions of dollars in daily losses. Earlier on Friday morning, a security source in the Iraqi police said unidentified men bombed an Iraqi oil pipeline in southern Kirkuk, setting the oil installation ablaze. The pipeline, which carries oil from Kirkuk to the Baiji refineries and is near the main road linking Kirkuk to the district of al-Huweija, was blown up with an explosive charge, causing a thick blaze firefighters are trying to control," the source told the independent news agency Voices of Iraq (VOI). The oil industry in the northern fields are coming under constant attacks, which upsets the regularity of Iraqi oil exports. The northern oil fields are considered Iraq's only outlet to sell crude oil exports via the Turkish Mediterranean port of Ceyhan. Oil-rich fields in Kirkuk, 250 km northeast of Baghdad, have stopped regular exporting as a result of attacks that caused harms estimated at billions of dollars. (VOI) – A total of 246 families from Talafar, whose houses were destroyed in the March 27 bombing incidents, arrived in the city of Mosul, Iraq's Red Crescent Society said on Friday. "The society provided shelters for the families, composed of 1250 people, at a camp set up next to Ninawa's eastern wall and more families will follow," Shamil Muwaffaq, the Society's official in charge of security in Mosul, told the independent news agency Voices of Iraq (VOI). He said the camp has got all the humanitarian needs: water, foodstuffs, medicine and blanket.Talafar was the scene of bloody incidents last week when several car bombs blew up in areas inhabited by a Shiite majority, followed by nighttime armed militias' raids on houses of Sunnis, who were led outdoors and executed. (Al Jazeera) - An influential Iraqi Sunni armed group has called on al-Qaeda in Iraq to "review" its behaviour in the country. The Islamic Army in Iraq, believed to be the largest group of former Baathists and army officers fighting Iraqi and US forces, called on Osama bin Laden, the al-Qaeda leader, to take more responsibility for al-Qaeda in Iraq. "Killing Sunnis has become a legitimate target for them, especially rich ones. Either they pay them what they want or they kill them," a statement from the group said. "They would kill any critic or whoever tries to show them their mistakes." The group said it had dealt with al-Qaeda with "patience and wisdom" to keep a united "resistance front. But this was not fruitful," the group said. The growing tension highlights a struggle for power involving Sunni tribal leaders who are angered by al-Qaeda in Iraq's indiscriminate killing of civilians. Sunni Arab officials have also urged what they call "the real resistance" to disown al-Qaeda and engage in talks with the government to end violence which has driven the country closer to an all-out civil war. "We also call ... on every Qaeda member in the Land of Mesopotamia to review themselves and their positions ... and for those who committed wrongful acts to repent quickly," the statement said. Also on Friday, Nuri al-Maliki, the Iraqi prime minister, ordered that jobs and pensions be offered to former officers, many of whom had joined armed Sunni groups such as the Islamic Army of Iraq. The Islamic Army in Iraq's appeal to al-Qaeda comes against a backdrop of continued violence in Sunni Arab areas. On Friday, at least 27 people were killed by a chlorine truck bomb in the city of Ramadi, west of Baghdad. COMMENT: The Islamic Army in Iraq (IAI) is an inclusive Islamic organisation with Iraqi nationalist tendencies. IAI has carried out a brutal campaign against the U.S.-led coalition as well as the Iraqi security forces. The group has been implicated in several kidnappings and beheadings.The group’s leader claims that the group is predominantly Iraqi, not foreign-born. Although it carries an Islamic title, the group is thought to be the largest militant group that consists of former Baathists and has been labelled as "resistance" by Iraq's Sunni Vice-President Tariq al-Hashemi despite regular attacks against Iraqi soldiers and policemen and Shi'ite militias such as the Mahdi Army and Badr Corps. Their criticism of Al Qaeda in Iraq coincides with al-Maliki announcing jobs and pensions for Baathists and former Iraqi armed forces. COMMENT ENDS. (AP) - A British-led raid on a police intelligence headquarters in southern Iraq last month violated Iraq's sovereignty as well as a U.N. Security Council resolution, the government said on Friday. On March 4, British forces raided the National Iraqi Intelligence Agency building in the southern city of Basra and said they had captured an alleged death squad leader and found 30 prisoners with signs of torture. The rest of the prisoners in the facility fled during the raid, but Britain said that was unintentional. The report on an investigation into the raid said the commander of the U.S.-led Multi-National Forces in Iraq should "officially apologize to the Iraqi people, the residents of Basra and the Interior Ministry." It also said coalition forces should "acknowledge that members of the Multi-National Forces have overstepped their authority, committed a major mistake and were negligent in allowing prisoners to escape." The report, signed by Minister of State for Parliament Affairs and acting Justice Minister Safa al-Safi, said coalition forces should not take prisoners already in Iraqi custody without first getting a warrant from judicial authorities. It did not mention that some of the detainees showed signs of torture. At the time, Prime Minister Nouri Al-Maliki vowed to punish "those who carried out this illegal and irresponsible act." The investigation said that by detaining the suspect, multinational forces "violated the orders of an Iraqi judge, blatantly surpassed its authority and infringed on Iraq's sovereignty in contradiction with Security Council resolution 1546." The resolution assures Iraq will have full sovereignty and that all foreign troops eventually will leave the country. Britain has 7,100 troops in Iraq, mostly based around Basra. (AP) - American forces who captured five Iranians in the northern city of Irbil three months ago were really after commanders of Iran's Revolutionary Guards who were visiting Kurdish officials, the Kurdish leader said in remarks broadcast Saturday. Massoud Barzani, president of the 15-year-old Kurdish autonomous region in northern Iraq, told Al-Arabiyah television that the Iranian commanders first visited Iraqi President Jalal Talabani in the northern city of Sulaimaniyah and then went to visit him. Barzani did not say where he met the commanders, although he was thought to have been in Irbil at the time. He also did not say how he knew U.S. forces were trying to capture the commanders or where they were when the Americans raided a house in Irbil on Jan. 11 and detained the five Iranians, who still are in U.S. custody. Irbil is the capital of the Kurdish region. "It (the house) was not a secret Iranian office. It is impossible for us to accept that an Iranian office in Irbil was doing things against coalition forces or against us. That office was doing its work in a normal way and had they been doing anything hostile, we would have known that," Barzani said. "They did not come to detain the people in that office. There was an Iranian delegation, including Revolutionary Guards commanders, and they came as guests of the president. He was in Sulaimaniyah. They came to Sulaimaniyah and then I received a call from the president's office telling me that they wanted to meet me as well." U.S. Defense Department officials in Baghdad did not immediately respond to telephone and e-mail requests for comment. Washington has said the five captured Iranians were rounded up on suspicion they were providing aid to Shiite militia fighters who are targeting U.S. and Iraqi troops and civilians. "They (the commanders) came here and they came openly. Their meetings with the president and myself were reported on television. The Americans came to detain this delegation, not the people in the office," he said. "They came to the wrong place at the wrong time. The only place where there is no Iranian influence is Irbil. I will never allow such influence in Kurdistan, whether Iranian or otherwise," Barzani added. (BBC) - Iran's ambassador to London has said Britain should respond "in a positive way" to the release of the 15 Royal Navy personnel held for 13 days. Rasoul Movahedian told the Financial Times Iran wanted help to release five Iranians held in Iraq and to ease fears globally about its nuclear programme. He said: "If they [the British] want to be helpful and use their influence we will welcome that. Iran has said a press conference where the crew described being bound and held alone was "theatrical propaganda" that did not justify their "mistake". Mr Movahedian told the FT: "We played our part and we showed our good will... now it is up to the British government to proceed in a positive way," he said. He denied that the release of the crew was linked to the case of the Iranians being detained in Iraq or any other case. But he added: "If they [the British] want to be helpful and use their influence we will welcome that. "We will welcome in general any steps that could defuse tensions in the region." But the BBC's Jill McGivering told BBC Radio 4's Today programme: "The key in all of this is how the US feels. "It is all very well talking about a plea for the UK to use its influence on the US but so far there are no signs from Washington at all that they give Iran any kind of credit for the way they have handled this." On Friday, at the Royal Marines Barracks at Chivenor, Devon, the crew said they were told by their captors that if they did not admit they were in Iranian waters when captured they faced seven years in prison. The officer in charge, Lieutenant Felix Carman, 26, of Swansea, said the sailors and marines were 1.7 nautical miles from Iranian waters when they were captured. Royal Marine Captain Chris Air, 25, from Altrincham, Cheshire, said the crew had made it clear they were on a "routine operation allowed under a UN mandate" but that the Iranians had a "planned intent." Lt Carman, said they were taken to a prison in Tehran where they were stripped and dressed in pyjamas. They were kept in stone cells, sleeping on blankets and held in isolation until the last few nights and frequently interrogated. The only woman in the group, Leading Seaman Faye Turney, believed for at least four days that she was the only one still being held. Royal Marine Joe Tindell told how they feared for their lives in prison. "We had a blindfold and plastic cuffs, hands behind our backs, heads against the wall. Basically there were weapons cocking. Someone, I'm not sure who, someone said, I quote, 'lads, lads I think we're going to get executed'. After that comment someone was sick and as far as I was concerned he had just had his throat cut." The BBC's Frances Harrison, in Tehran, said Iran feels the press conference revelations were the result of sailors "being briefed" by the UK government who "dictated to them [the sailors]". She pointed out that Iran said it was "standard procedure" for military personnel who intruded into Iran to be held in isolation, and said they compared their captivity to the way people are held at Guantanamo Bay and Abu Ghraib prison in Iraq. The navy is reviewing the circumstances surrounding the incident and the wider rules of engagement for UK forces operating in the area. Labels: Chris Air, Faye Turney, Felix Carman, Iran, Iranian detainees, Joe Tindell, Rasoul Movahedian, Royal Marines Barracks Chivenor, Royal Navy, U.S.
A truck bomb exploded in the volatile Iraqi city of Ramadi on Friday, killing at least 15 people and releasing chlorine gas into the air, police and security sources said. Iraqi and U.S. troops on Friday moved into the southern city of Diwaniya, a stronghold of Shi'ite militia loyal to anti-American cleric Moqtada al-Sadr, in an operation to curb the militia's increasing influence. The next Iraq Compact meeting will be held in early May according to Iraqi government spokesman Ali al-Dabbagh. Nearly 20 Iraqi, British, and U.S. soldiers were killed in attacks across Iraq in the past 24 hours. Muslim Scholars Association Secretary-General Sheikh Harith al-Dari on April 3, criticized the Baghdad security plan, saying it unfairly targets Iraqi civilians. The Basra police commander on Friday said the roadside bomb used in an attack that killed four British soldiers was likely an Iranian-designed explosively formed projectile (EFP). Muqtada al-Sadr has asked the prime minister to suspend two Cabinet ministers from his bloc because they backed a plan that likely will turn the oil-rich city of Kirkuk over to Kurdish control. The U.S. military issued a statement Friday clarifying that there were no Iranians in an International Committee of the Red Cross team who had visited five Iranians in American detention after they were arrested three months ago in Irbil. Robert Gates, the United States defence secretary, has said that the US has no plans to release five Iranians who were captured in Iraq and accused of supporting anti-government fighters there. The government is burying en mass hundreds of bodies of victims of violence which have been lying in Baghdad morgue for several months. Iraqi Prime Minister Nouri al-Maliki accepted the resignation of Justice Minister Hashim al-Shibli and assigned Minister of State for National Assembly Safa al-Din al-Safi to take over his tasks. About 200 prominent Iraqi Sunni scholars ended a two-day annual meeting in Amman by backing 'resistance' as one of the legitimate means that should be adopted for ending the US-led occupation of Iraq. Prime Minister Nouri al-Maliki's government has ordered that senior officers of Saddam Hussein military receive pensions and requested that lower-ranking soldiers be allowed to serve again. VoEx International signs $200 million joint venture contract with Kalimat Telecom for Iraq's first national CDMA WLL network. * denotes a new or updated item. * HILLA - Sheikh Karim Omran al-Shafi, a tribal leader, was seriously wounded when gunmen opened fire on his vehicle in the Shi'ite city of Hilla, 100 km (62 miles) south of Baghdad, police said. * BAGHDAD - Eleven bodies were found in different parts of the city, police said. * BAGHDAD - A sniper killed two people in the Amil district in southwestern Baghdad, the Interior Ministry said. * TAL AFAR - Four bodies, including that of a child, were found in Tal Afar, about 420 km (260) miles northwest of Baghdad, police said. (MI-ME) - VoEx International LLC today announced it has signed a contract with Kalimat Telecom of Iraq, a newly launched First National Fixed Wireless Local Loop Telephony and Data provider serving 26 million Iraqi citizens. This is the first time this class of service is being licensed by the Iraqi Commission for Media and Communication (CMC) to solve the connectivity challenges facing the Iraqi telecom market and to bring Iraq's capabilities to a much higher standard, according to the company. Under the terms of the agreement, which VoEx believes to strengthen its position as the dominant player in Iraq's niche telecoms market, Kalimat Telecom will contract VoEx International expertise and global engineering, marketing and operations experience to support its fast-growing IP network operations management systems. (AP) - Prime Minister Nouri al-Maliki's government has ordered that senior officers of Saddam Hussein military receive pensions and requested that lower-ranking soldiers be allowed to serve again as part of a sectarian reconciliation plan, the government said Friday. Al-Maliki's office said the decision was made during a Cabinet meeting late last month. Many former top intelligence, security and military officials are believed to have joined the Sunni insurgency after L. Paul Bremer, the former U.S. administrator, disbanded Iraq's 350,000-member military on May 23, 2003, a month after Saddam's regime was ousted. The al-Maliki statement said any former officer above the rank of major would be given a pension equal to that of officers now retiring. Former officers above major who wanted to rejoin the army were encouraged to check with the military command to learn if they were acceptable in the Iraqi army that is being rebuilt by American forces. Those who had the rank of major or lower may voluntarily return to the army and will be guaranteed a place. Lower ranking officiers and enlisted men with scientific or medical training would be given jobs in an appropriate government ministry, the statement said. The prime minister and President Jalal Talabani were expected to introduce legislation in parliament last week that would allow former members of Saddam Hussein's ruling Baath party — including those in the feared security and paramilitary forces — to regain government jobs. The measure still has not reached the floor, a delay that reflects heavy opposition to the measure among Shiite and Kurdish officials whose people were oppressed by Saddam. The Bush administration has set out several benchmarks for al-Maliki's government. One is passage of the de-Baathification law to encourage Sunnis to rejoin the political process. (DPA) - About 200 prominent Iraqi Sunni scholars ended a two-day annual meeting in Amman by backing 'resistance' as one of the legitimate means that should be adopted for ending the US-led occupation of Iraq, according to a statement published Friday. 'The conference stresses the need for working with all means, including the legitimate resistance, to expel the invasion forces and ensure laying down a timetable for their pullout,' the statement said. The meeting, which was held outside Iraq for security reasons, also demanded 'the release of all detainees held by the government and occupation forces as a gesture of good faith towards reconciliation and building a new Iraq.' The conference was sponsored by the Iraqi Endowments Society, an umbrella that includes the country's top Sunni scholars. The organization was set up shortly after the US-led invasion of Iraq in 2003, when the country's Ministry of Religious Affairs was dissolved and replaced by separate establishments for Shiites, Sunnis and other religions. The conference called for discarding all forms of 'ethnic and sectarian strife' and denounced 'all inhuman practices including kidnappings, assassinations, detentions, coercive migration and aggressions on worship establishments.' Sunni leaders complained that at least 250 mosques were either destroyed or seized by Iran-backed Shiite militias which are affiliated with the Iraqi government. The participants called for convening an 'expanded conference for all Iraqi scholars' including Shiite clerics with a view to 'halting the bloodshed' in Iraq and reinvigorating the Mecca Document that was reached by Sunni and Shiite leaders at the end of last year for ending sectarian violence. The conference decided to set up the 'Iraq Scholars Council' and an 'Islamic Jurisprudence Complex' for issuing fatwas (judgements), a move designed to pre-empt opinions formed by takfir groups, which dub people as atheists. (VOI) – Iraqi Prime Minister Nouri al-Maliki accepted the resignation of Justice Minister Hashim al-Shibli and assigned Minister of State for National Assembly Safa al-Din al-Safi to take over his tasks, the state-run al-Iraqiya satellite channel reported on Thursday. The minister presented his resignation last week, protesting the way the government is operating, by saying “I cannot take responsibility in this critical stage in Iraq’s history.” He is a member of the Iraqi National List, a secular parliamentary bloc with 25 seats out of the 275-member parliament, under former Prime Minister Iyad Allawi. (Azzaman) - The government is burying en mass hundreds of bodies of victims of violence which have been lying in Baghdad morgue for several months. Government sources, refusing to be named for fear or retribution said, said at least 2,252 bodies have been buried in the Shiite holy city of Karbala. But the government itself is making no secret of the burials. A government-related website said on Wednesday that 93 more bodies were buried in Karbala. It said they were all numbered and pictured before burial. It said the 93 bodies could not be identified and have been lying in the morgue for a long period. No one has come forward to claim them, it said. The dead were victims of current sectarian strife in the country. It is not clear why so many bodies had remained in the morgue for so long period without anyone asking for them. During interviews, residents of some of Baghdad’s most violent neighborhoods said many relatives of the victims were killed at the morgue as they were trying to retrieve the bodies. In other instances the victims had either all members of their families killed or forced to flee their areas. Claiming a body from a morgue in Iraq is a dangerous endeavor and occasionally families have to pay militias huge sums of money to help them retrieve the dead bodies of beloved ones. (Al Jazeera) - Robert Gates, the United States defence secretary, has said that the US has no plans to release five Iranians who were captured in Iraq and accused of supporting anti-government fighters there. He also rejected speculation that the US had been part of a deal which led Iran to release 15 British servicemen earlier on Thursday. "I think there's no inclination right now to let them go," Gates told reporters in Washington when asked about the five Iranians, who were captured by US forces in northern Iraq in January. Washington has denied that it had been involved in any deal which offered concessions to Iran in return for the release of the 15 British servicemen, who were seized by Iranian troops near the southern Iraqi city of Basra. George Bush, the US president, said on Tuesday that he agreed with Tony Blair, the British prime minister, "that there should be no quid pro quos when it comes to the hostages". Gates, however, said that US and Iraqi officials were considering arranging for Iranian representatives to visit the captured men, whom Iran says are legitimate diplomats. Iraqi government officials and US officials are discussing if there's some way, perhaps, that there could be some kind of Iranian access to them," he said. "But as far as I know, there's no requirement for that. "I don't think that consular access is being considered. I think the issue is whether there's some other means by which some other access might be given." Gates's comments came after Major-General William Caldwell, a US military spokesman, told reporters in Baghdad that a consular request to visit the five Iranians was "being assessed". The five Iranians were arrested by US forces in the northern city of Irbil, in Iraqi Kurdistan, on January 11. US officials accused the men of being members of the elite Al-Quds brigade of Iran's Revolutionary Guards and of helping organise attacks on US and Iraqi forces. Washington and Tehran broke off diplomatic ties almost 27 years ago and US interests in Iran are conducted via Switzerland. Labels: Al-Quds brigade, British sailors, Iranian detainees, Irbil, Robert Gates, U.S.
(AP) - The U.S. military issued a statement Friday clarifying that there were no Iranians in an International Committee of the Red Cross team who had visited five Iranians in American detention after they were arrested three months ago in Irbil. On Wednesday, U.S. military spokesman said Maj. Gen. William Caldwell said that an ICRC delegation had visited the captive Iranians and that one of the group was Iranian. Lt. Col. Christopher Garver, a military spokesman, issued the clarifying statement Friday in an e-mail statement to The Associated Press. "The ICRC committees that visited the five Iranians detained in Irbil on two occasions did not contain an Iranian national. One of the two committees contained an individual who speaks Farsi and lived in Iran, but he is a British citizen by birth," Garver said. U.S. Embassy spokesman Lou Fintor, meanwhile, said the United States was still considering an Iranian government request to visit the five. Washington has said the five men, who were arrested in Irbil, the capital of the Kurdish semiautonomous region in northern Iraq, were rounded up on suspicion that they were providing aid to militia fighters who are targeting U.S. and Iraqi troops and civilians. (AP) - Radical Shiite cleric Muqtada al-Sadr has asked the prime minister to suspend two Cabinet ministers from his bloc because they backed a plan that likely will turn the oil-rich city of Kirkuk over to Kurdish control, a parliament member said Thursday. Saleh al-Aujaili, the Sadr bloc legislator, said the cleric had asked Prime Minister Nouri al-Maliki to hold the seats open for his block when he reshuffles his cabinet, a moved that has been promised for weeks. Health Minister Ali al-Shammari and Agriculture Minister Yarrub Nazim, both members of the Sadrist movement, were among Cabinet ministers who agreed last week to a plan that would resettle Arabs from Kirkuk who had been moved into the city during Saddam Hussein's Baath party rule, the legislator said. The decision was seen likely to guarantee a Kurdish majority in the city when it is to vote by year's end on whether it should be attached to the Kurd's semiautonomous region just to the north. The vote on the city's future was mandated under Iraq's constitution adopted in October 2005. Shiite and Sunni lawmakers have declared deep opposition to the Kirkuk plan, although they have no say in the matter short of calling for a vote of confidence and bringing down the government. Repeated calls by The Associated Press to the ministers were not answered. Al-Aujaili said al-Sadr's movement had asked al-Maliki "to suspend their membership in the Cabinet until the government reshuffle takes place." It was not clear whether al-Sadr was moving to cleanse the organization of those he suspects of disloyalty to his anti-American stand, but two members of parliament from his bloc were ejected from the organization because they did not leave a luncheon Monday when U.S. commander in Iraq Gen. David Petraeus arrived, al-Aujaili said on Wednesday. Government spokesman Ali al-Dabbagh did not answer calls seeking comment about al-Maliki's plans to agree to al-Sadr's request. (AP) - The Basra police commander on Friday said the roadside bomb used in an attack that killed four British soldiers had not been used in southern Iraq before, and his description of the deadly weapon indicated it was a feared Iranian-designed explosively formed projectile. The U.S. military has claimed Iran is supplying Shiite militia fighters in Iraq with explosively formed projectiles, known as an EFP. They hurl a molten, fist-sized copper slug capable of piercing armored vehicles. The four British soldiers, including two women, were killed Thursday as the American military announced the deaths of eight more U.S. soldiers since Tuesday. The Basra region police commander, Maj. Gen. Mohammed al-Moussawi, said two similar bombs had been discovered Friday morning; one was discovered on the road leading to Basra Palace, the compound that houses a British base and the British and U.S. consulates. A second was uncovered in the western Hayaniyah district where Thursday's attack occurred. The area is known as a stronghold of the Mahdi Army, a militia loyal to radical Shiite cleric Muqtada al-Sadr. Prime Minister Tony Blair called the Basra attack an "act of terrorism" and suggested it may have been the work of militiamen linked to Iran. He stopped short of accusing Tehran, however. He added, "This is maybe the right moment to reflect on our relationship with Iran." The deadly attack against the British patrol in southern Iraq was the greatest loss of life for Britain in more than four months and it cast a shadow over celebrations marking the return of 15 British sailors seized by Iran two weeks ago in disputed waters in the Persian Gulf. The British patrol struck a roadside bomb and was hit by small-arms fire early Thursday in the southern city of Basra, British military spokeswoman Capt. Katie Brown said. The explosion created a 9-foot crater in the road. Hours after the attack, a British soldier's helmet was still laying in the street among dozens of spent bullets. The latest casualties raised to 140 the number of British forces to die in Iraq since the March 2003 invasion, 109 in combat. Blair has announced that Britain will withdraw about 1,600 troops from Iraq over the next few months and hopes to make other cuts to its 7,100-strong contingent by late summer. (KUNA) Muslim Scholars Association Secretary-General Sheikh Harith al-Dari on April 3, criticized the Baghdad security plan, saying it unfairly targets Iraqi civilians, KUNA reported on April 4. Speaking at the Egyptian Journalists' Association in Cairo, al-Dari said the security operation is displacing Iraqis and creating a state of siege, all under the pretext of fighting terrorism. He claimed that the aim of the security plan is to kill and torture Iraqis who are opposed to the presence of foreign forces in Iraq. He went on to praise the resistance, stressing that it is "carrying out its role courageously in confronting the occupation forces." Al-Dari also described the current security crisis in Iraq as "discord between all sects," and said it will not develop into a full-scale civil war. COMMENT: The Hayat Al-Ulama Al-Muslimin [Association of Muslim Scholars (AMS] is also known as the Ulema Council. Ulema is the community of legal scholars of Islam and the Sharia. The Ulema Council was created on 14 April 2003, five days after the fall of Saddam Hussein. It grouped all the country's Sunni ulema. 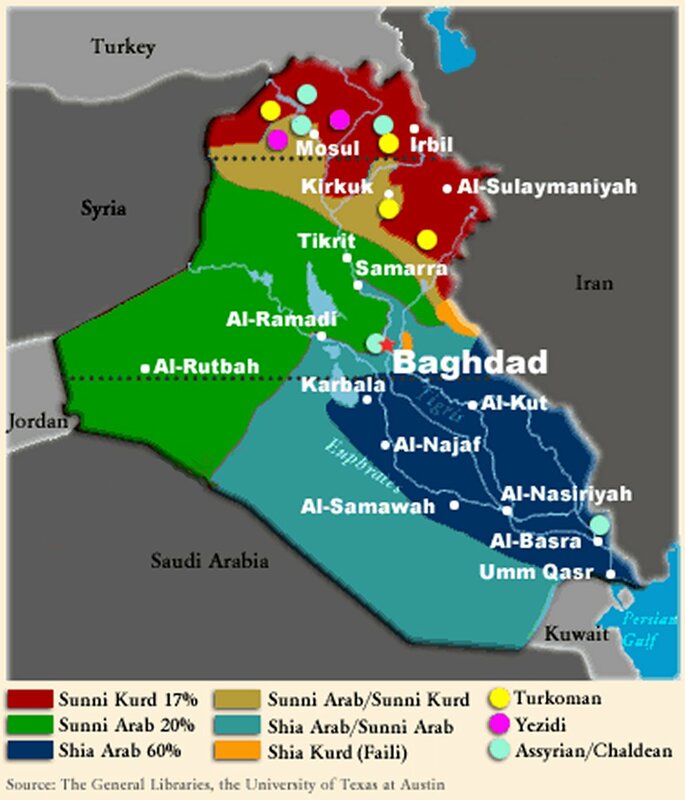 The Muslim Ulema Council is the highest Sunni authority in Iraq. Shaykh Dr Harith Sulayman al-Dari is its secretary general. The Council comprises several religious institutions that existed before the occupation of Iraq in April last year. It has many activities on the political, social, economic, and religious levels. The Ulema Council had called for calm among its followers in the face of provocations from some Shias. They also accuse neighbouring Shia-dominated Iran of trying to fuel growing religious tensions in the country by reaching out to Moqtada al-Sadr. Sunni clerics in the Muslim Ulema Council became increasingly vocal and teamed up with some influential Shias to oppose the occupation. The Muslim Scholars Association issued a statement in its weekly "Al-Basa'ir" urging Iraqi police and military forces not to partake in operations in support of U.S.-led multinational forces. They as of yet have not joined the newly formed government and remain as opposition group due to the fact that they believe joining the process whilst iraq is under occupation is unjust. COMMENT ENDS. (RFE/RL) - Nearly 20 Iraqi, British, and U.S. soldiers were killed in attacks across Iraq in the past 24 hours. Four British soldiers and a civilian interpreter were killed in a roadside bombing near the southern city of Al-Basrah. Ten Iraqi soldiers were killed in an attack near the northern city of Mosul. In Baghdad, four U.S. soldiers were killed by two roadside bombs. In addition, the U.S. military said four people were injured when an army helicopter with nine people aboard went down south of Baghdad. Also in Baghdad, a senior Iraqi journalist was killed today when a suicide car bomb exploded outside the Baghdad headquarters of a television channel run by a leading Sunni political party. In a statement, the Iraqi Islamic Party said deputy bureau chief Thaer Ahmed Jabr died in the attack. At least 10 other employees were wounded. More than 180 media workers, most of them Iraqi, have been killed in Iraq since the U.S.-led invasion in 2003. (Reuters) - A high-level meeting to launch a five-year international reconstruction plan for Iraq will be held in early May, Iraqi government spokesman Ali al-Dabbagh said on Friday. Dabbagh declined to say where the meeting, which is expected to involve numerous governments and international agencies, would take place. But the timing coincides with a separate conference between Iraq, its neighbors and world powers that Foreign Minister Hoshiyar Zebari said on Thursday would convene in the first week in May. He also declined to give the location of the gathering. The International Compact with Iraq would see Iraq given international support, financial, political and technical, in return for political, security and economic reforms. "The Iraq Compact will be held in early May," Dabbagh said. The reconstruction plan was unveiled by U.N. Secretary-General Ban Ki-moon and Iraqi Vice President Adel Abdul-Mahdi last month. The compact outlines targets for Iraq to hit during the next five years, including annual economic goals. It also includes legislation the government hopes to pass by the end of 2007. (Reuters) - Iraqi and U.S. troops on Friday moved into the southern city of Diwaniya, a stronghold of Shi'ite militia loyal to anti-American cleric Moqtada al-Sadr, in an operation to curb the militia's increasing influence. The U.S. military said in a statement that Operation Black Eagle aimed "to disrupt militia activity and return security and stability of the volatile city back to the Iraqi government". Residents and an Iraqi security source in Diwaniya told Reuters a curfew had been imposed and that troops were blocking streets and conducting house-to-house searches. The security source said police in the city, many of whom are suspected of being infiltrated by Sadr's Mehdi Army militia, had been ordered to stay at home. "There were clear instructions for local police not to report to work today. The security forces are from outside the city," the source told Reuters. Diwaniya, 180 km (110 miles) south of Baghdad, has witnessed fierce street battles between U.S.-led forces and Mehdi Army militiamen in recent months. Shi'ite Prime Minister Nuri al-Maliki has vowed to target militias and Sunni insurgents in a major new security crackdown aimed at curbing sectarian violence in Iraq that has claimed tens of thousands of lives. The crackdown is focussed on Baghdad, epicentre of the violence, but the government has said it will start spreading to other cities. A security source in Diwaniya said clashes erupted in the southern parts of the city where Mehdi Army militiamen are most powerful. Medical sources said four civilians were wounded. Some residents welcomed the operation and said the militias have been ruling the city through fear. (Reuters) - A truck bomb exploded in the volatile Iraqi city of Ramadi on Friday, killing at least 15 people and releasing chlorine gas into the air, police and security sources said. Police Colonel Tareq Dulaimi from Ramadi said the bomb, which targeted a police patrol, wounded at least 30 people. He said several people were also choking from the gas. There has been a spate of chlorine truck bomb attacks in recent months, mainly in western Anbar province. Ramadi is the capital of Anbar, stronghold of the Sunni Arab insurgency and a haven for al Qaeda. U.S. commanders and Iraqi police have blamed al Qaeda militants for several of the chlorine attacks. Heavy gunfire forced a U.S. military helicopter down in an insurgent stronghold south of Baghdad on Thursday, Iraqi witnesses said. Iran's blame game with Britain over the capture of 15 sailors appears to have been defused after Iranian president Mahmoud Ahmedinajad announced they were to be released. U.S. troops held a recruitment drive for the first time in Adhamiyah in the hope of recruiting more Sunnis for the Iraqi Army. Iraqi Prime Minister Nouri al-Maliki will visit South Korea next week for talks with President Roh Moo-hyun expected to focus on economic cooperation. The Kurdistan Regional Government (KRG) Ministry of Culture (MOC) will soon air the first government satellite TV channel, to be named Nawroz (Kurdish New Year celebration). The Iraqi Federation of Oil Unions wants Iraq's oil to stay under state control. Prime Minister Nouri al-Maliki told U.S. President George W. Bush in a recent videoconference that some Iraqi officials are involved in terrorism, government officials said Wednesday. Iraq is negotiating a 500-million-dollar loan from the World Bank to help reconstruct its war-torn economy, the prime minister's office said on Thursday. Iraqi security forces to take control of Maysan in April. A bomb struck an oil pipeline Thursday, cutting off supplies and causing a huge fire in southern Iraq near the border with Kuwait, an official said. Egypt has tightened the procedures for Iraqis entering the country, apparently to stem a flow of people seeking refuge from the violence in Iraq. (Reuters) - Egypt has tightened the procedures for Iraqis entering the country, apparently to stem a flow of people seeking refuge from the violence in Iraq. Instead of obtaining visas at points of entry such as Cairo airport, Iraqis will have to apply in advance through Egyptian consulates abroad, an official source said on Thursday. Senior Foreign Ministry official Mahmoud Aouf told parliament on Wednesday his ministry was making the change for security reasons, the state news agency MENA said. "This decision is due to the nature of the security circumstances accompanying the entry of Iraqis into Egypt at this stage," he said. "The sensitivities of Egyptian national security requirements must be respected." After Jordan and Syria, Egypt is one of the places most popular among Iraqis seeking safety. The Iraqi embassy estimates about 120,000 Iraqis have moved to Egypt since the 2003 war to oust Saddam Hussein, an official said. But only about 5,000 or 6,000 have registered as refugees with the U.N. refugee agency UNHCR, a U.N. official said. Iraqis with enough money can stay in Egypt indefinitely and may not feel the need to register, she added. Since the United States and its allies invaded Iraq in 2003, about 700,000 Iraqis have fled to Jordan and more than 400,000 to Syria. Others have gone to Lebanon, Turkey and Iran. (AP) - A bomb struck an oil pipeline Thursday, cutting off supplies and causing a huge fire in southern Iraq near the border with Kuwait, an official said. The pipeline carries oil from surrounding fields to storage tanks in Basra for export to the Gulf region, according to the official with the South Oil Co. But he said the tanks were full and export supplies had not yet been affected. The official, who spoke on condition of anonymity because he wasn't authorized to speak to the media, said the explosion occurred about midnight and the fire raged for hours before it was extinguished in the afternoon. He said oil had stopped flowing from the fields to the storage tanks but supplies were sufficient and exports were not affected. The attack occurred just north of Safwan near the border with Kuwait, the official said, adding that he expected the fire to be extinguished later Thursday. The Oil Ministry in Baghdad could not immediately be reached for comment. Iraq exports about 2 million barrels of oil a day of which about 1.6 million barrels are exported through the port of Basra and come 300,000 are being pumped from the northern city of Kirkuk to the Turkish port of Ceyhan. Oil production has plummeted since the U.S.-led invasion in March 2003 as the oil pipelines have faced repeated insurgent sabotage, attacks on maintenance crews, alleged corruption, theft and mismanagement. (AFP) - Iraqi security forces are set to take control from foreign troops of a fourth province in the violence-plagued country this month, Iraqi and British officials said on Thursday. "The timetable for our armed forces to receive national responsibility is accelerating. And this month, multi-national forces will transfer security responsibility to the authorities in Maysan," a statement from Prime Minister Nuri al-Maliki's office said. "The prime minister hereby authorises the governor of Maysan to receive security responsibility from the multinational forces in another achievement for the people of the province." British Lieutenant Colonel Kavin Stratford-Wright confirmed that troops were working towards transferring Iraqi control in the southern province of Maysan, which shares a border with Iran, in April. "That transfer to provincial Iraqi control is projected to be this month. At that point, the responsibility is theirs and we'd only intervene in a security situation at their request," he told AFP from the southern city of Basra where British troops are based. "This is a positive thing. We're pleased the Iraqi prime minister has made this decision. It's an indication of further progress in the south," he said. Maysan province will be the fourth out of Iraq's 18 provinces handed over to Iraqi security control and the third transferred by British-led troops since July. In August, British troops had handed over security in Amara, the capital of Maysan, but retained other regions of the province. Stratford-Wright said multinational troops would continue to be in Maysan and would also retain forces on the border after the transfer. Prime Minister Tony Blair told parliament in February that the number of British troops would likely drop to 5,000 by the end of the year, compared to about 7,200 deployed in the country today. (AFP) - Iraq is negotiating a 500-million-dollar loan from the World Bank to help reconstruct its war-torn economy, the prime minister's office said on Thursday. A statement from Nuri al-Maliki's office said the cabinet had authorised Finance Minister Bayan Jabr Solagh to sign the loan agreement. "The council of ministers decided in an extraordinary session on March 29 to authorise the finance minister to negotiate and sign a loan agreement with the World Bank worth 500 million dollars," the statement said. It provided no further details. The World Bank has remained active in Iraq but closed its permanent office in the country after one of its employees was killed in a truck bombing at the UN complex in Baghdad in August 2003. The bank has given loans to Iraq since the 2003 US-led invasion, mainly for improving the country's dilapidated educational institutions. (AP) — Prime Minister Nouri al-Maliki told U.S. President George W. Bush in a recent videoconference that some Iraqi officials are involved in terrorism, government officials said Wednesday. The two leaders spoke Monday, a day after U.S. officials in Baghdad reported two suicide vests had been found near a trash bin in the "Green Zone," the highly guarded area of central Baghdad where the U.S. Embassy is located. "The prime minister told him this is what we expect. Some politicians are involved in terrorism," said one Iraqi official. The official's comments were confirmed by two other officials. All spoke on condition of anonymity because they were not authorized to release the information. "Terrorists work in two ways, either as gunmen in the field or in politics," the official quoted al-Maliki as telling Bush. The Iraqi official said terrorists wanted the new security plan in the capital to fail "so they entered the Green Zone." Gordon Johndroe, spokesman for Bush's National Security Council, said Wednesday that Bush and al-Maliki "talked about the importance of fighting terrorists, but I don't recall the suicide belts coming up." (UPI) - Hassan Jumaa Awad wants Iraq's oil to stay under state control, and the unionists, who have long worked the rigs, to be supported in developing the national resource. But this is no request from the president of the Iraqi Federation of Oil Unions. It's a demand. The IFOU represents more than 26,000 workers organized under various unions in the oil-rich southern and northern areas of Iraq. Shiites, Sunnis and Kurds, together they've operated Iraq's oil sector before, during and after Saddam Hussein. Their rights to officially unionize are still denied under a 1978 Saddam law, one of a few of the former president's laws the U.S. occupation and the Iraqi Parliament upheld. Kurdish and central government negotiators reached a deal last month on the framework for a law governing Iraq's oil. Details on ownership rights and revenue sharing are still far from finalized. The Iraq National Oil Co. would restart but compete with foreign oil companies, who could win contracts giving them partial ownership of the respective fields. INOC "should have full privileges," Awad said, "and we don't agree on the production partnership." Iraq's oil has been nationalized for four decades. Iraqis view it with a pride of ownership, something the law would reduce if the contract language allowing for foreign ownership stands. The unions were kept in the dark, as were most members of Iraq's parliament, until the draft law was leaked to the media. Even then it was still out the reach of most of Iraq's citizens. Oil unions led large strikes in the 1940s and 1950s. In the past four years, Iraqi oil workers stopped work when they weren't being paid or when a foreign subcontractor was hired to replace them. They only threatened to strike after the Coalition Provisional Authority ordered wages decreased. The Iraq Oil Ministry balked. This prompted other unions, like dock workers in Umm Qasr and Zubair, to edge out foreign corporations given contracts. The IFOU could shut down Iraq's production if the draft hydrocarbons law stands. With oil revenue funding 93 percent of the federal budget, that's a large bargaining chip. Oil workers could also whip up a critical mass of dissent in their communities. The oil workers' popular support crosses sectarian lines. (Kurdish Globe) - The Kurdistan Regional Government (KRG) Ministry of Culture (MOC) will soon air the first government satellite TV channel, to be named Nawroz (Kurdish New Year celebration). It will gear its programs toward KRG activities and youths. "After unifying both administrations in Kurdistan and forming a new government, the Ministry of Culture decided to establish a government media to demonstrate its activities and build an educated Kurdish society," said Halgurd Abdul Wahab, general director of MOC's media. Wahab stated that the building of Nawroz TV has finished completion, at a cost of more than $5 million. He said that the KRG appropriated a very good budget for the TV's operations. Most of the Kurdish satellites and local TVs are controlled and belong to Kurdish political parties; the government doesn't have TV. Nawroz TV consists of three part-time channels on one screen (known as Sub-TVs): Fermi TV (government activities), Zaro TV (for children), and Law TV, which in Kurdish language means youth TV. Wahab said Nawroz TV will appropriate 19% of its time to children. Those programs will be educational and far removed from the violence, racism, and dogmatism that dominate so much television. Nawroz TV will air many programs about Kurdish youths and their problems, and their TV programs will be under the supervision of the MOC. Wahab explained that the rest of the TV time will broadcast news on Kurdistan parliament activities, the ministerial council, and the presidency of Kurdistan. "We will air every parliament session live, as well as every Kurdistan President and Kurdistan Prime Minister press conference," said Wahab. Wahab mentioned that they have some transparency and openness that will allow people to directly complain, criticize the government, and seek rights. (AP) - Iraqi Prime Minister Nouri al-Maliki will visit South Korea next week for talks with President Roh Moo-hyun expected to focus on economic cooperation, Roh's office announced Thursday. During a three-day trip starting Wednesday, al-Maliki will discuss cooperation in natural resources, electricity and construction, as well as Seoul's support to rebuild the Middle East nation, the presidential office said in a statement. Al-Maliki will also hold talks with South Korean business leaders and tour local industrial facilities, it said. Iraqi officials accompanying al-Maliki will include the ministers for oil, electricity and industry, the office said. South Korea has about 2,300 troops in Iraq on a reconstruction mission. (AINA) - Hundreds of young Iraqi men stood on the street in their underwear outside a Baghdad army base. The recruiting drive, overseen by the US military, was held for the first time in the predominantly Sunni neighborhood of Adhamiyah. The idea: balance the mostly Shiite makeup of the Iraqi Army, particularly in this area. It was also seen as a way to address the charges that Sunnis are being mistreated by Iraqi security forces. But only 20 Adhamiyah Sunni natives showed up, of whom only 10 were accepted. The remainder of the 156 who enlisted were mostly Shiites from the impoverished districts of Sadr City and Shaab. They had been tipped off about the recruiting drive by relatives and friends in the Iraqi Army's 1st Battalion of the 6th Brigade, which is based in Adhamiyah but is about 80 percent Shiite. Sunday's event underscores the challenges faced by US military trainers in attracting Sunnis to the security forces and keeping sectarianism out of one of the country's most critical institutions. The effort to recruit Sunnis started at the crack of dawn with prospective soldiers made to line up in the base's outer perimeter and told to strip down to their underwear -- a security measure. Suicide bombers have struck before in the midst of police and Army recruiting drives. Karlo, a US Army German shepherd dog, is on hand to sniff out any potential trouble. The young men carrying their clothes in bundles are let into the base in groups of five. The Adhamiyah municipal council had promised 1,400 eager recruits. US and Iraqi officials say they are ready to sign up 200 recruits on the spot, the only requirements being that they be between the ages of 18 and 29, weigh less than 330 pounds, be literate, have 22 teeth, and not have any vision or hearing impairments. The local council members had complained to Colonel Johnson that it was too dangerous for them as Sunnis to venture out to the main recruiting center at the Al-Muthana airport. So he decided to come to them. "The intent is to show them that they will be treated fairly," Johnson says. Adhamiyah is a traditional stronghold for Saddam Hussein and his Baath Party. Soldiers from the US Army's 1st Battalion, 26th Infantry Regiment, who were sent in August to pacify the area, continue to face fierce resistance and hostility. The unit has already lost 17 soldiers. The center of Adhamiyah resembles a battleground with "Long live the martyr Saddam" graffiti everywhere. Even the local council's head, Mudhafar Abdul Razaq, who had pushed the most for Sunnis to be enlisted in the Army and police, was murdered last month. He was the second council official to be killed in three months. Hussein Qassim says that he heard that conscription in Adhamiyah was free so he came over. He and three friends had paid $1,200 in bribes last month at the Muthana center for slots in the Army but got nothing. Several prospective and current Iraqi soldiers confirm that the standard bribe for conscription is indeed $300. Only those hired when the US military is present seem to be exempt. The starting monthly salary for soldiers is $360. General Kadhem says they will keep trying, but they will only succeed in hiring Sunnis when the people in the community decide to throw their lot behind the government. He notes the Iraqi Army's success in Ramadi last month. It recruited 2,500 Sunnis, thanks to the Anbar Salvation Front, a group of US-backed tribal sheikhs who are fighting Al Qaeda in the province. He says that 1,500 Anbar Sunnis are now in basic training, while the remainder of the recruits are waiting for training. The general says that currently, about 65 percent of the Iraqi Army are Shiites. (Al Jazeera) - Iran's blame game with Britain over the capture of 15 sailors appears to have been defused after the Iranian president announced they were to be released, but the claim game is just beginning. Mahmoud Ahmadinejad says his country's decision to free the soldiers after 13 days was a gift to the British people. In the process, his country was able to deflect attention from its nuclear programme and prove it could cause trouble in the Middle East if it wanted to. But it did not get the main thing it sought - a public apology from London for entering Iranian waters. Britain, which said its crew was in Iraqi waters when seized, said it never offered a quid pro quo, but relied on quiet diplomacy. Tony Blair, the British prime minister, said London's "measured approach" had been effective. "Throughout we have taken a measured approach - firm but calm, not negotiating, but not confronting either," adding a message to the Iranian people that "we bear you no ill will." However, Iran's announcement coincided with the release in Baghdad of an Iranian diplomat seized in Iraq in early February. Iran had blamed US forces for the abduction but the US denied involvement. Iranian state media also said five Iranian officials captured by US forces in northern Iraq in January and accused of seeking to stir trouble were expected to receive their first visit by an Iranian diplomat soon. But what Iran might have won is a more careful Western approach to the Middle East power. The US says its policy is to arrest Iranians in Iraq who are funnelling arms or money to Shia fighters there. But it may be more cautious if it thinks Iran is willing to retaliate by seizing US troops. Ahmadinejad said the British government was "not brave enough" to admit the crew had been in Iranian waters when it was captured. But he said Britain had sent a letter to the Iranian foreign ministry pledging that the incident "will not happen again". Britain's foreign ministry would not give details about the letter but said its position was clear that the detained crew had been in Iraqi waters. Ahmadinejad declared that even though Iran had the right to put the Britons on trial, he had "pardoned" them to mark the birthday of the Prophet Muhammad, celebrated on March 30 this year, and the coming Easter holiday. But it was not just Iran and Britain who were trying to come off looking good in this standoff. Syria, Iran's close ally, said it had played a role in winning the release of the sailors. Walid al-Moallem, Syria's foreign minister, said in Damascus on Wednesday: "Syria exercised a sort of quiet diplomacy to solve this problem and encourage dialogue between the two parties." The breakthrough appeared to have caught the British government by surprise. On Tuesday, Margaret Beckett, the foreign secretary, had told reporters not to expect a quick end to the standoff. Some analysts say Iran's supreme leader, Ayatollah Ali Khamenei, decided the crisis had gone far enough at a time when Tehran faces mounting pressure over its nuclear programme. Whether that is a sign of internal dissent in Iran or finely honed, clever brinkmanship, Iran clearly gained some things from the dispute - at least enough to make the West cautious that it would be willing to enter into such a standoff again. Observers fear that the 13-day crisis may be precursor of things to come in Iran's confrontations with the West. (Reuters) - Heavy gunfire forced a U.S. military helicopter down in an insurgent stronghold south of Baghdad on Thursday, Iraqi witnesses said. The U.S. military said it had no information on the reports. Witnesses said the aircraft appeared to be an Apache attack helicopter. They said it came under attack near Latifiya, 40 km (25 miles) south of Baghdad. "I saw a helicopter in the sky, then I heard heavy gunfire," said one witness. "I saw the helicopter move right and left before landing hard. It did not explode." An Iraqi security official also said a helicopter had come down in the area. U.S. forces had closed off the site, witnesses said. Insurgents shot down eight helicopters during a month-long period earlier this year, killing 28 people, mainly American soldiers. Six of those were U.S. military helicopters and two belonged to a private American security firm. Eleven electricity plant workers were killed in an ambush as they drove to work in northern Iraq on Wednesday, while gunmen staged a mass kidnap at a fake security checkpoint south of Baghdad, police said. Iran's state IRNA news agency says an Iranian representative is to meet with five Iranians detained in Iraq by U.S. forces for the first time since their capture in January. Staff Major General Ali Hammadi anticipates that Iraqi forces will officially be handed control of the Shatt Al-Arab Hotel base on April 8, and after that the larger Al-Shu'aybah base. U.S. and Iraqi forces in Diyala Governorate discovered a terrorist training camp in Zaganiyah on March 29, according to an April 2 coalition press release. A senior aide to the Shiite cleric Moqtada al-Sadr said security conditions in the southern city of Diwaniya were worsening at an alarming rate. Armed groups threatened to blow up the Patriotic Union of Kurdistan (PUK) and Kurdistan Democratic Party (KDP) offices in Mosul. The UK has proposed direct bilateral discussions on the release of the British sailors and awaits an Iranian response on when these can begin. Iraq has lost some $8 billion to administrative and financial corruption since the 2003 US-led invasion, an anti-corruption panel said on Tuesday. Versar Inc. announced today that the U.S. Air Force awarded Versar a $2.3 million Task Order to inspect and provide corrective plans for a large number of border forts in Iraq. Iraq has issued invitations for 15 Arab, Asian and American firms to drill 100 oil wells in the country’s south as part of efforts to boost production, Asim Jihad, the oil ministry spokesman said yesterday. Citing improved security in the capital, the Iraqi government said Tuesday that it was shortening the Baghdad curfew by two hours and would allow citizens to be on the streets until 10 p.m.
Shiite lawmakers said Tuesday the government decision that likely will hand the oil-rich city of Kirkuk to Kurdish control was forced on Prime Minister Nouri al-Maliki when Kurds threatened to walk out of his ruling coalition and bring down the government. Two lawmakers from the movement of anti-American Shi'ite Iraqi cleric Moqtada al-Sadr were dismissed on Wednesday for meeting U.S. officials, an official in the movement said. Al-Anbar tribes to meet in Baghdad for security discussions. IBM announced a humanitarian donation to the United States government of innovative speech translation technology to support better communication in Iraq. President Mahmoud Ahmadinejad said Wednesday that Iran would free the 15 detained British sailors and marines as a gift to the British people. Round-up of violence across Iraq. * denotes a new or updated item. Follow link for further information. NEAR HAWIJA - Gunmen killed 11 employees of an electricity power station in an ambush on their vehicle near the town of Hawija, 70 km (40 miles) southwest of Kirkuk, police said. * LATIFIYA - Gunmen manning a fake checkpoint kidnapped passengers traveling in six minibus taxis and a car, near the town of Latifiya 40 km (25 miles) south of Baghdad, an official in the Hilla police chief's office said. MOSUL - A roadside bomb targeting a police patrol killed a police major and wounded a civilian in the northern city of Mosul, 390 km (240 miles) north of Baghdad, police said. MOSUL - A roadside bomb targeting the motorcade of the head of police in Mosul, Major General Wathiq al-Hamadani, wounded two of his guards, police said. Hamadani was not harmed. * BAGHDAD - The bodies of 10 people were found shot in different districts of Baghdad on Tuesday, police said. KIRKUK - Nine civilians were wounded on Tuesday when three roadside bombs exploded in a mainly Kurdish district of Kirkuk, 250 km (155 miles) north of Baghdad, police said. (AP) - President Mahmoud Ahmadinejad said Wednesday that Iran would free the 15 detained British sailors and marines as a gift to the British people. He pardoned the sailors and announced they would be released following a news conference at which he pinned a medal on the chest of the Iranian coast guard commander who intercepted the sailors and marines in the northern Gulf on March 23. Ahmadinejad said Iran will never accept trespassing in its territorial waters. "On behalf of the great Iranian people, I want to thank the Iranian coast guard who courageously defended and captured those who violated their territorial waters," he said. "We are sorry that British troops remain in Iraq and their sailors are being arrested in Iran," Ahmadinejad said. He criticized Britain for deploying Leading Seaman Faye Turney, one of the 15 detainees, in the Gulf, pointing out that she is a woman with a child. "How can you justify seeing a mother away from her home, her children? Why don't they respect family values in the West?" he asked of the British government. (BI-ME) - IBM today announced a humanitarian donation to the United States government of innovative speech translation technology to support better communication in Iraq. The intent of the donation is to help augment human translators and improve the safety of US and coalition personnel, citizens and staff of nongovernmental aid organisations (NGOs). Specifically, IBM will provide 1,000 two-way automatic translation devices and 10,000 copies of the software for future use. The systems can recognise and translate a vocabulary of over 50,000 English and 100,000 Iraqi Arabic words, and are designed for civil application environments such as hospitals and training. The IBM systems are advanced, two-way "speech-to-speech" translators – code-named MASTOR (for Multilingual Automatic Speech Translator) – that improve communication between English and Iraqi Arabic speakers. The lack of understanding of Iraqi Arabic is a major concern among military personnel, their families, and civilians in Iraq. The issue was recently addressed in the Iraqi Study Group report, which highlighted the importance of better communication and recommended this issue be given the highest possible priority. According to the report, of 1,000 US Embassy workers, only 33 are Arabic speakers, and only six are at the level of fluency. Another concern is the safety of those providing translation services and protecting translators in conflict settings. There are fewer than 20 commercial translation systems currently available globally. US Department of Defence units are currently using a variety of automated translation techniques on a limited basis to communicate effectively with speakers of different languages in real-world tactical situations where human interpreters are scarce. In October 2006, IBM delivered a preliminary product with force protection and civil affairs language domains to US Joint Forces Command for field testing in restricted environments. (Al-Sabaah) - While the Anbar salvation council continues operations against terrorists, a meeting of the province's tribes will be held this month in Baghdad to discuss the situations in Anbar with regard to the integration at political and security fields of the province's representatives. Meanwhile, Sheikh Fassal Gha'ud, the head of the solidarity council stressed that preparation of the meeting continues and will include all officials in Anbar to form the national council of Anbar to act as the reference of the province's residents. While sheikh Abdulsatar Aburesha, the head of Anbar salvation council, said that the council would face all terrorists who want to cause disruption to citizens. (Reuters) - Two lawmakers from the movement of anti-American Shi'ite Iraqi cleric Moqtada al-Sadr were dismissed on Wednesday for meeting U.S. officials, an official in the movement said. Abdul Mahdi al-Mtiri, a member of the political committee which took the decision, told Reuters the committee fired former transport minister Salam al-Maliki and member of parliament Qusay Abdul Wahab who met American officials two days ago. Mtiri said Sadr approved the sackings which were the first public signs of tensions in the movement which holds a quarter of the seats in parliament of the ruling Shi'ite Alliance of Prime Minister Nuri al-Maliki. "We have fired them for meeting the occupiers. It is against our beliefs to meet the occupiers," he said. Sadr led two uprisings against the Americans in 2004 and has long demanded U.S. forces leave Iraq. But he has backed a seven-week-old security crackdown in Baghdad. U.S. forces have detained or killed hundreds of Sadr's followers in recent months. (AP) - Shiite lawmakers said Tuesday the government decision that likely will hand the oil-rich city of Kirkuk to Kurdish control was forced on Prime Minister Nouri al-Maliki when Kurds threatened to walk out of his ruling coalition and bring down the government. The threat and al-Maliki's capitulation dramatically outlined the prime minister's tenuous hold on power and further emphasized the possibility, some say the likelihood, that Iraq could break into Kurdish, Shiite and Sunni regions with little or no central government control. Consequences: A government collapse likely would have brought chaos to the 7-week-old Baghdad security operation with al-Maliki a lame-duck premier and commander in chief of Iraqi forces. Pressure: "The Kurdish coalition exerted enormous pressure on us. One of them was a threat by Kurdish lawmakers to boycott parliament and by ministers to quit the government," said Haidar al-Abbadi, a member of al-Maliki's Dawa party. He described the Kurdish pressures as "blackmail." At issue: Article 140 of Iraq's constitution calls for a referendum in Kirkuk on the city's status by year's end. Relocation: The government agreed Thursday, presumably on al-Maliki's orders and after the Kurdish threat, to a plan to resettle to their home regions Arabs who had been moved into Kirkuk after Saddam Hussein's Baath party came to power in 1968. Crisis averted: While the decision avoided what Shiite lawmaker Sami al-Askari said would have been "a major political crisis," he said the plan would "cost the government about $4 billion and that is a huge number." Opposed: Shiite and Sunni lawmakers have declared their opposition to the plan, although they have no say in the matter short of calling for a vote of confidence and bringing down the government. Not settled: Justice Minister Hashim al-Shibli said the Sunnis had opposed the measure because the constitution was still under review with Article 140 on Kirkuk likely to be one of the key clauses debated. 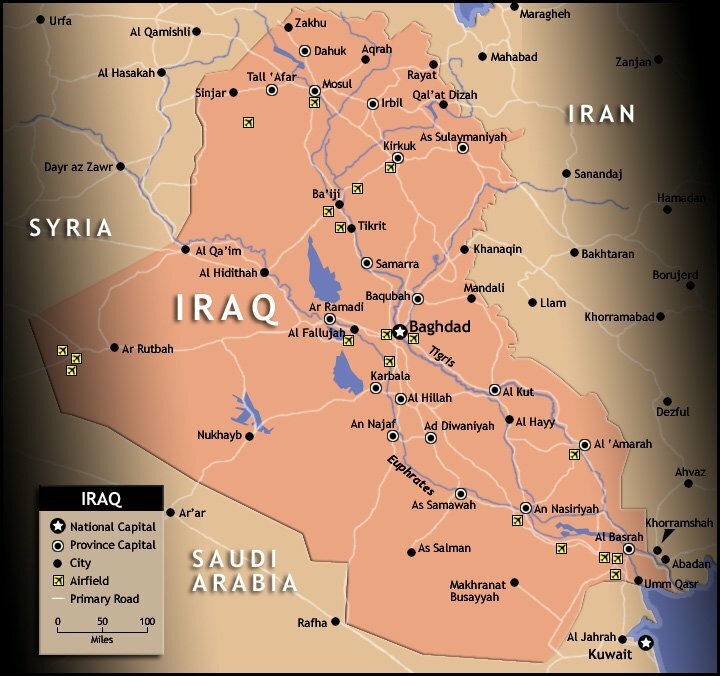 Oil: Much of Iraq's vast oil wealth lies under the ground in the Kirkuk region and in the Shiite-controlled south. Politics: While the Kurds refer to Kirkuk as the "Kurdish Jerusalem," control of the oil resources and the city's likely attachment to the Kurdish semiautonomous region just to the north was believed the driving motivation for the threat to bring down the government. 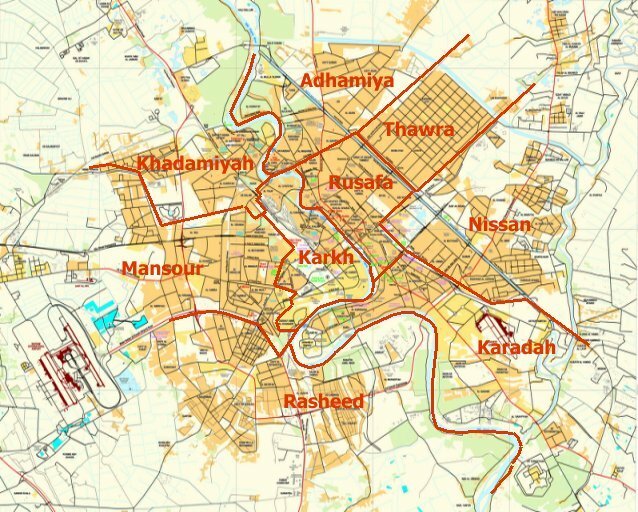 'Arabized': Kirkuk, according to the last census before the Baathists took power, had a majority Kurdish population. Tens of thousands of Kurds and non-Arabs fled Kirkuk in the 1980s and 1990s when Saddam's government implemented its "Arabization" policy. 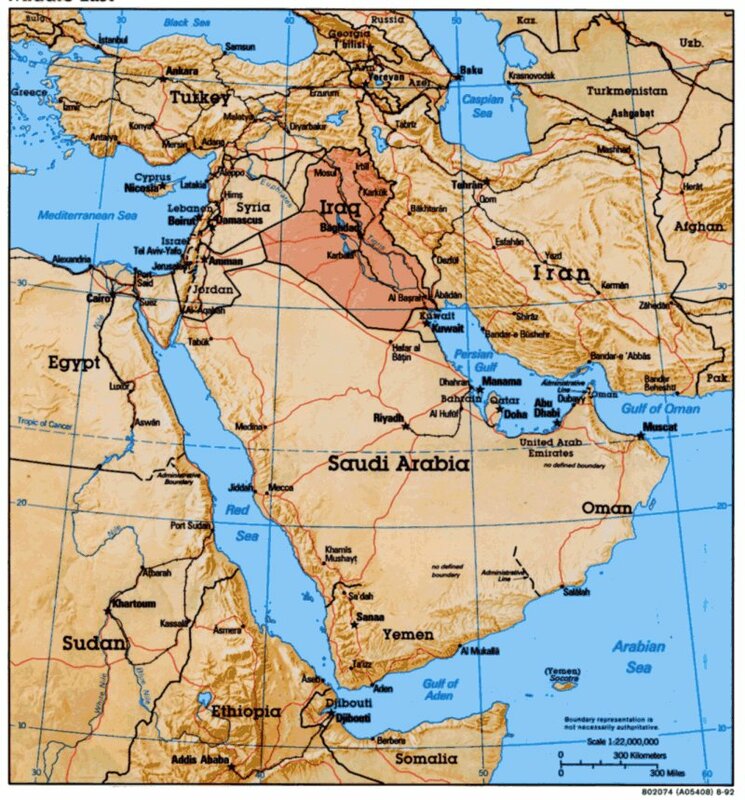 Kurds and non-Arabs were replaced by pro-government Arabs from the mainly Shiite south. Saddam accused the Kurds of siding with Iran in the 1980-1988 war with Tehran. Makeup: The ancient city has a large minority of ethnic Turks as well as Christians, Shiite and Sunni Arabs, Armenians and Assyrians. COMMENT: If Kirkuk does become annexed by Kurdistan, violence in the town is likely to escalate between the minorities and against the Kurds. Unconfirmed reports state that Peshmerga militias are attacking the minorities and in retaliation the Turkomen have started forming their own militia. The minorities see Kirkuk as much their home as the Kurds do and do not want to become part of Kurdistan. Many of them have stated they will fight against such a decision. COMMENT ENDS. (AP) - Citing improved security in the capital, the Iraqi government said Tuesday that it was shortening the Baghdad curfew by two hours and would allow citizens to be on the streets until 10 p.m. The easing of the ban on movement around the city coincided with a one-day sharp drop in the number of people known to have been killed in sectarian violence nationwide. According to police and morgue reports, 18 people were killed or found dead Tuesday. Violence in the capital has declined since the latest U.S.-Iraqi joint security operation began on Feb. 14, though there have been spectacular attacks. But bloodshed has increased elsewhere in Iraq after insurgents and militiamen moved operations out of the capital in advance of the security crackdown. Last week more than 600 people were killed nationwide in sectarian attacks, mainly truck and suicide bombings thought to be the work of Sunni insurgents or al-Qaeda in Iraq. Brig. Gen. Qassim al-Moussawi, the spokesman for the Baghdad security operation, said the curfew had been shortened in the capital "because the security situation has improved and people needed more time to go shopping." Since the start of the security operation, the military had enforced an 8 p.m. to 5 a.m. ban. Before that, the curfew had been 11 p.m. to 5 a.m.
(Reuters) - Iraq has issued invitations for 15 Arab, Asian and American firms to drill 100 oil wells in the country’s south as part of efforts to boost production, the oil ministry spokesman said yesterday. Asim Jihad said the invitations, issued at the end of March, would close at the end of May. The state-run South Oil Company will review the offers, he said. He said among the companies invited were Syrian, Iranian and Chinese firms.“We want to drill 50 wells in Maysan (province) and 50 in Basra. It will take from one year to three years,” he said. “These new wells will give us between 50,000 to 60,000 bpd.” Iraq has the world’s third-largest proven oil reserves and needs billions of dollars to revive its oil sector. Most of Iraq’s proven oil reserves are in the Shia south or the Kurdish north. Iraq’s cabinet has endorsed a draft oil law regulating how wealth from the vast oil reserves will be shared by its ethnic and sectarian groups.The world’s top oil companies have been manoeuvring for years to win a stake in Iraq’s prized oilfields such as Bin Umar, Majnoon, Nassiriyah, West Qurna and Ratawi – all located in the south of the country. The oil law which is still awaiting parliament’s ratification has given the regions the right to negotiate with international firms on developing oilfields.